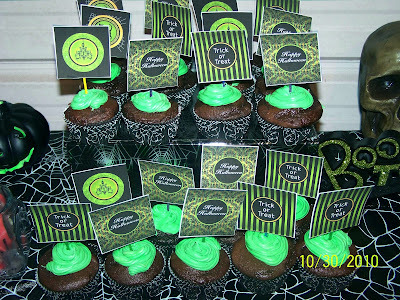 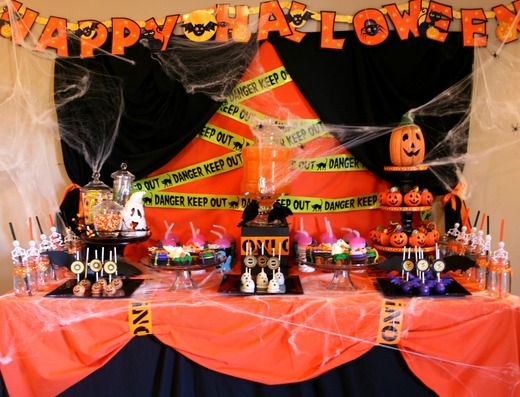 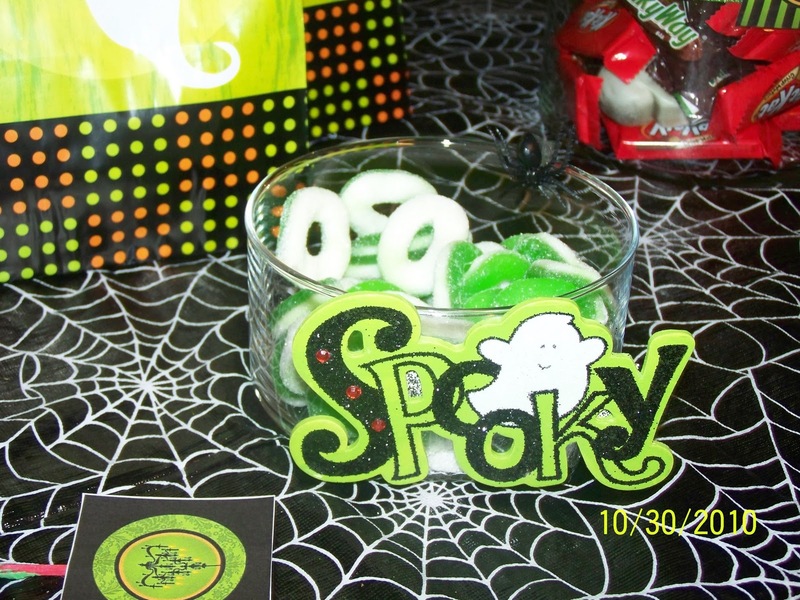 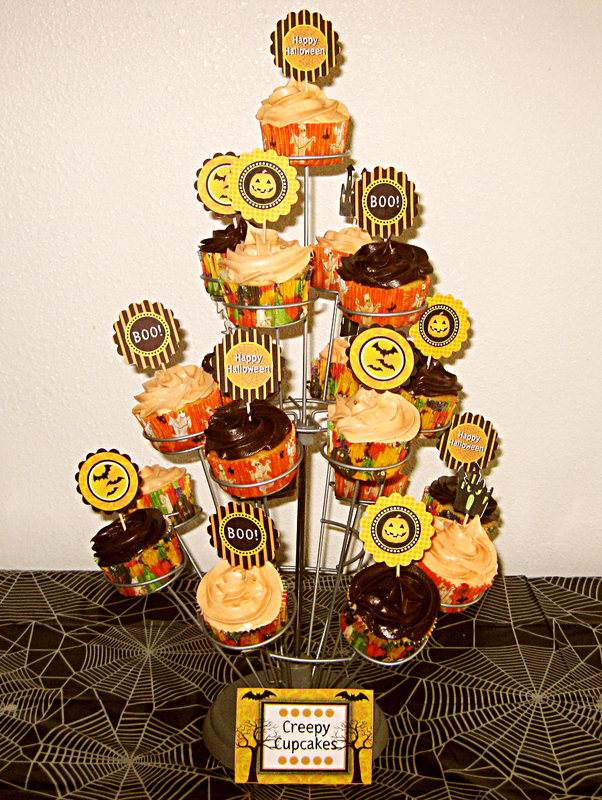 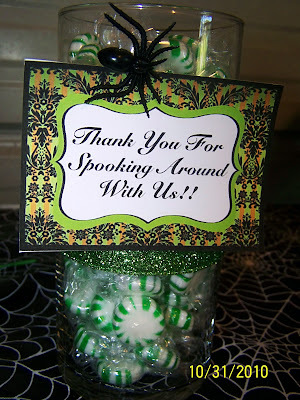 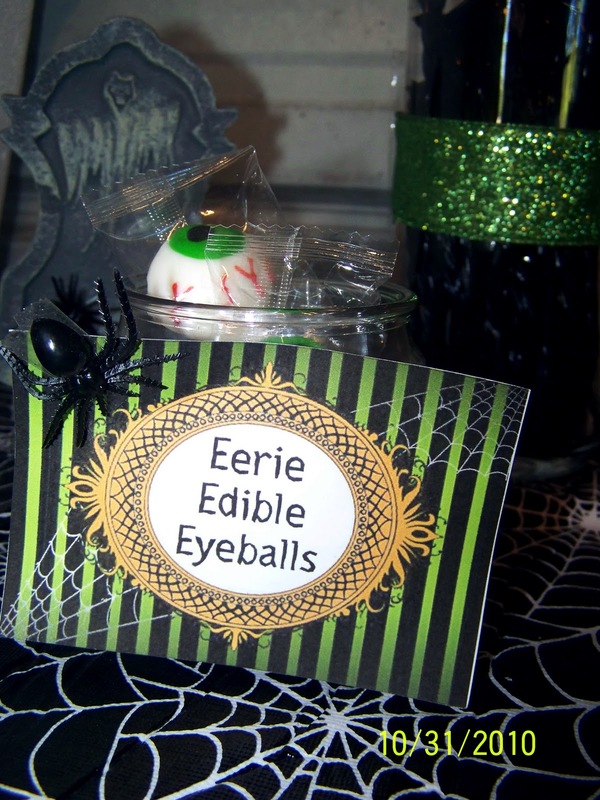 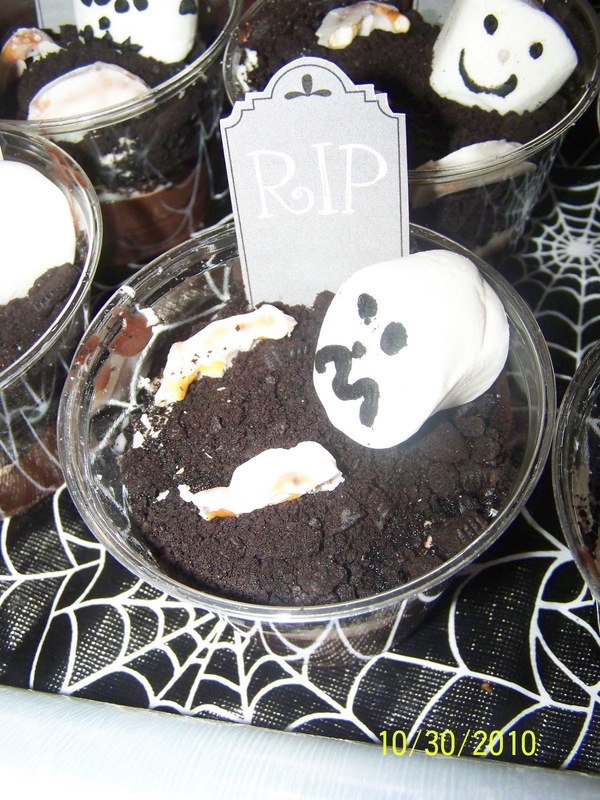 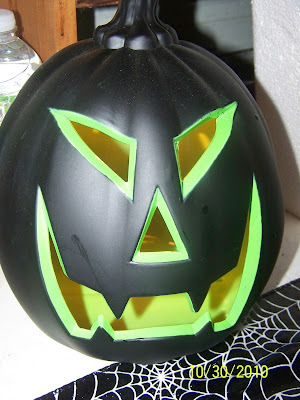 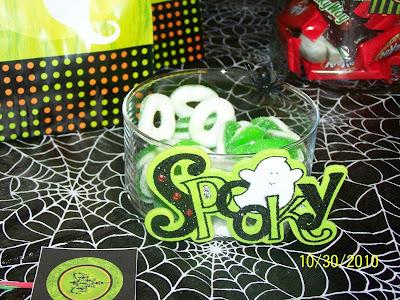 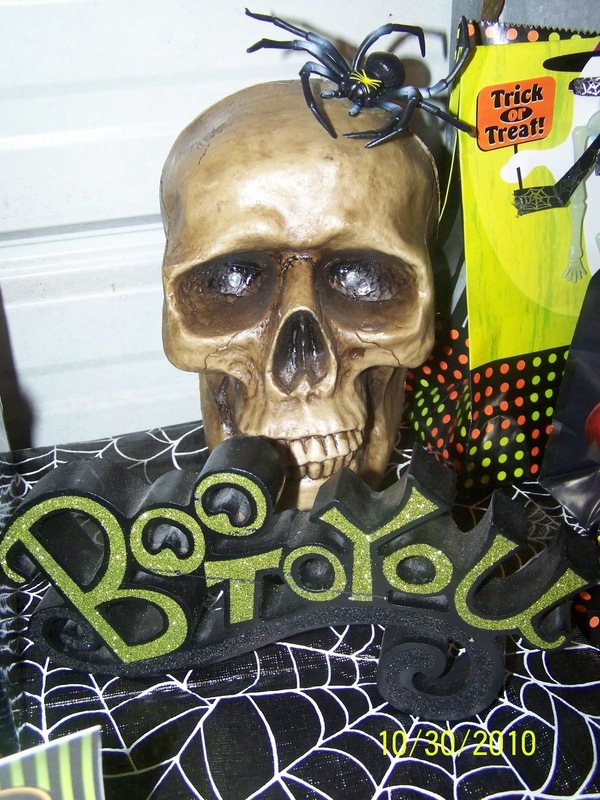 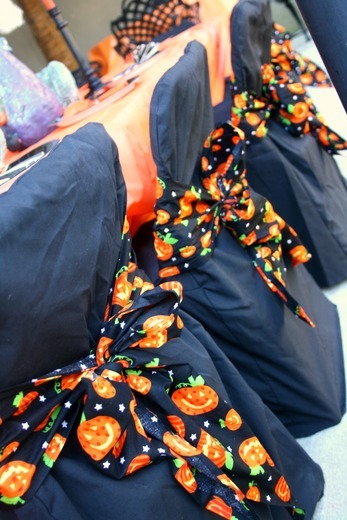 I'm SO excited to be able to share with you a few more FANTASTIC Halloween parties that used our free printables!!! 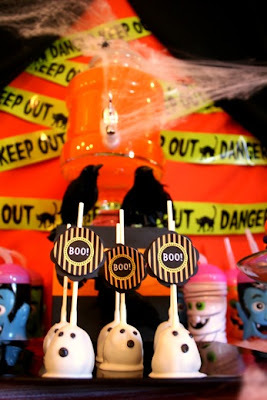 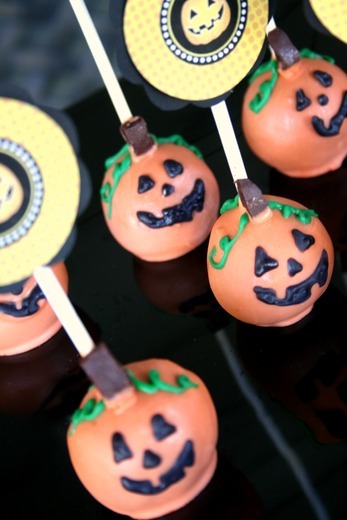 Aren't her cake pops spook-tacular??! 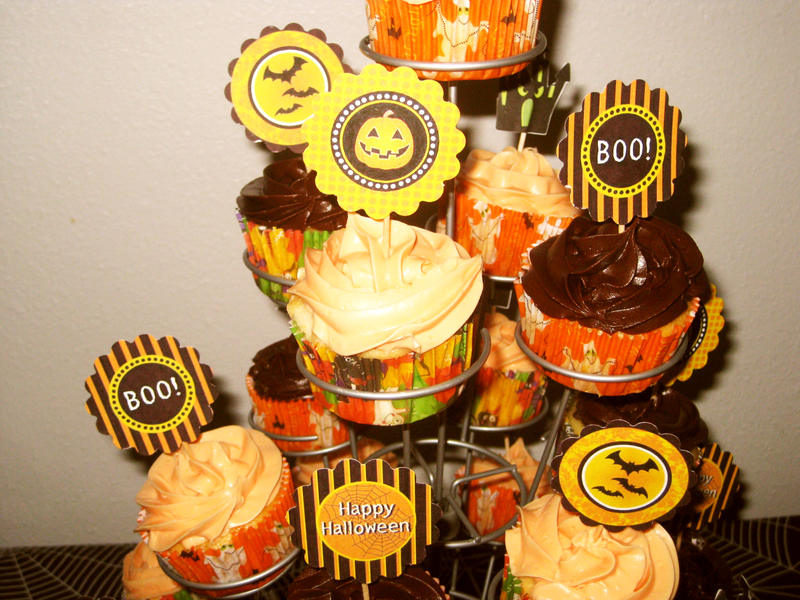 And I LOVE the cupcakes too!! 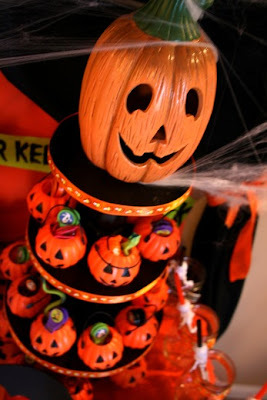 If you have a moment, click on over to Kate's blog, And Everything Sweet, to check out all of her amazing cake creations and party inspiration!! 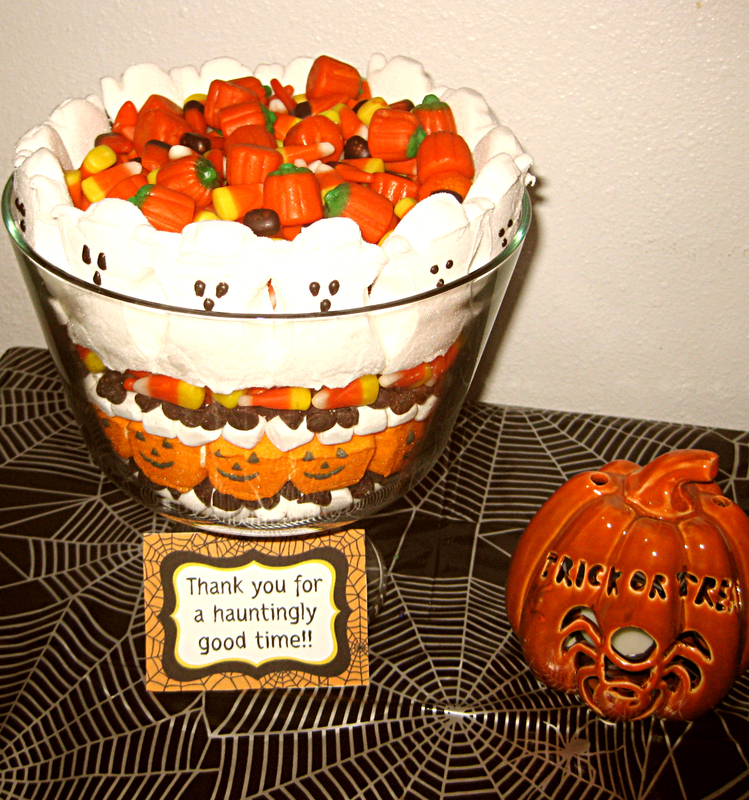 What a cute away to display candy!!! 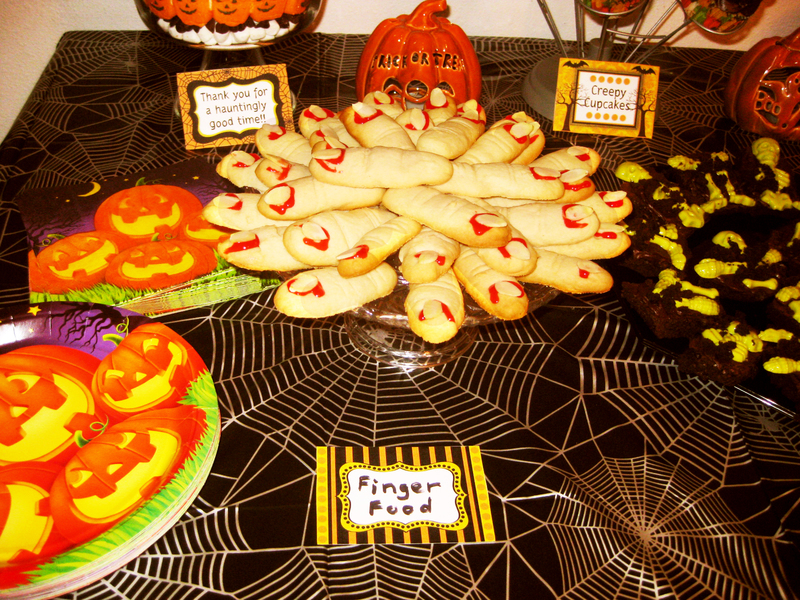 I am in LOVE with her super creepy "Finger" Food!! 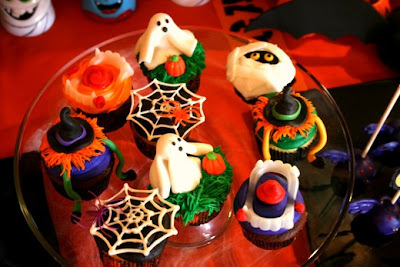 And lucky for us Daniela was kind enough to share the link to the recipe! 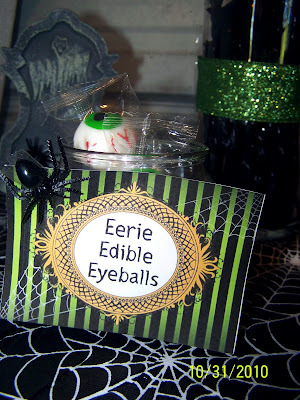 I think they would be a great addition to next year's Halloween spread. 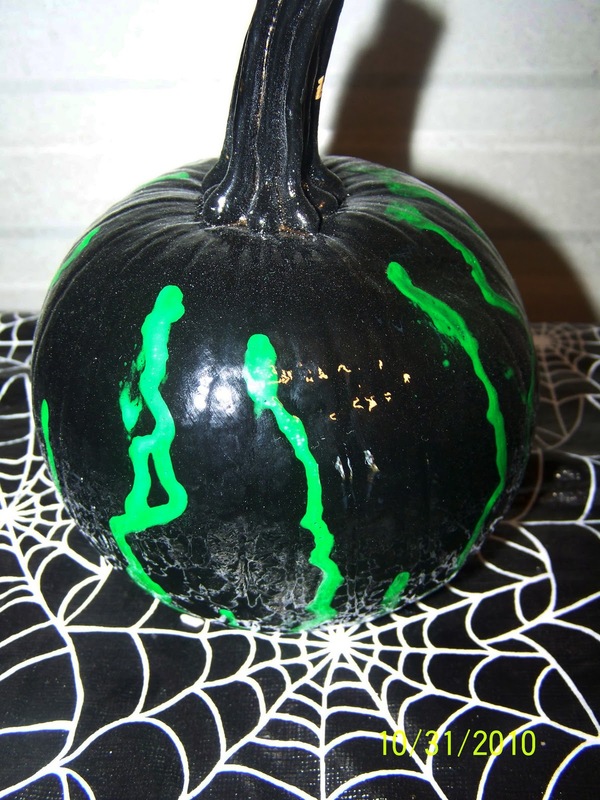 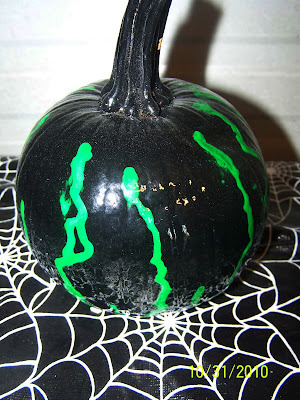 This fabulous pumpkin definitely helped to set the right tone! A wonderfully creepy version of Graveyard Dirt!! 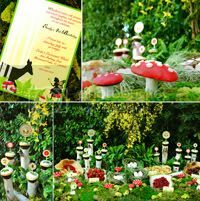 Kristin just launched a fantastic party planning business, Ollie Grey Events, please hop over to her blog and check out some of her other wonderful events!! 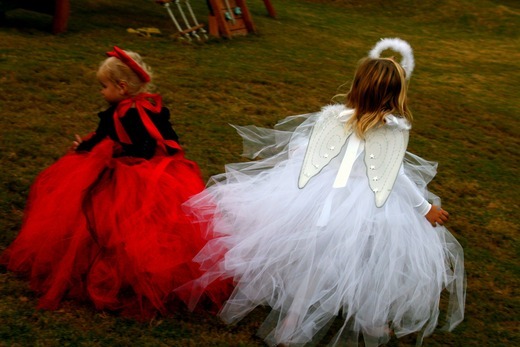 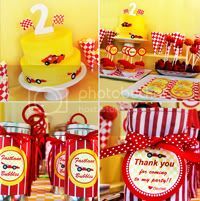 Thank you EVERYONE for being to so kind as to share your wonderful parties!!! 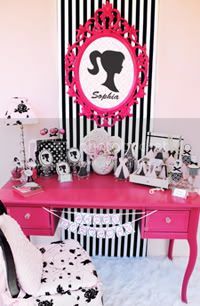 It truly makes me happier than you know to see all of your FABULOUS creative creations!!! 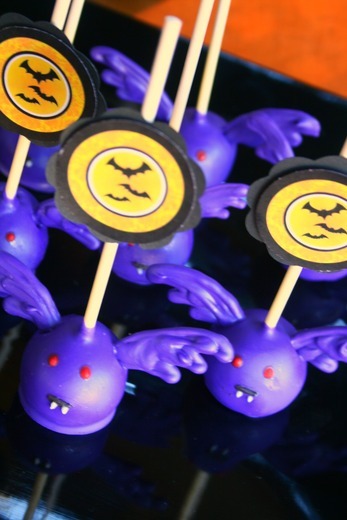 I want those bats, pumpkins and ghosts! 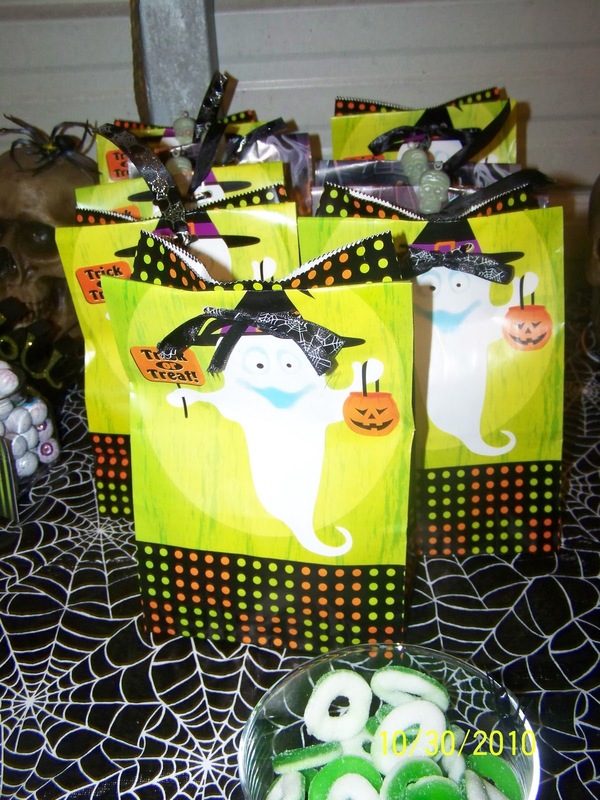 Happy (belated) Halloween! 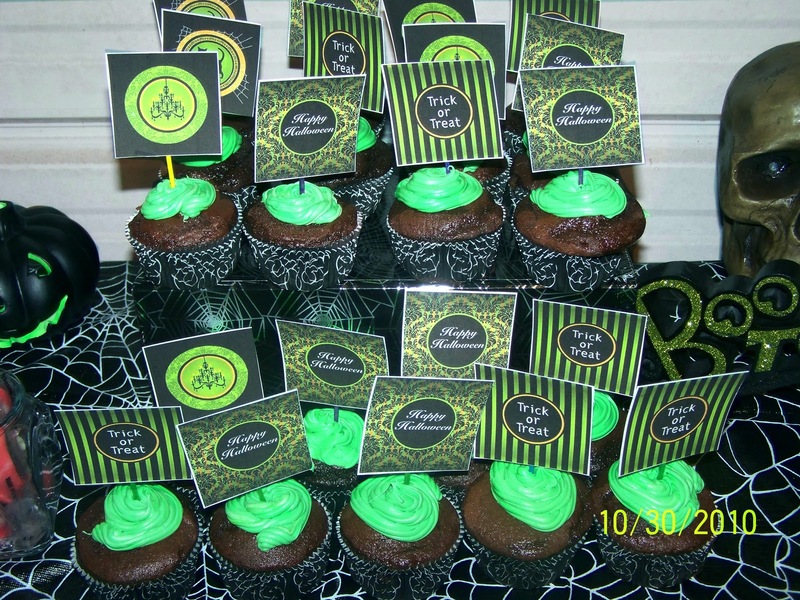 Wow, all these parties are SPECTACULAR!